This site is a repository of information on the different tools we use in our work. It's likely to remain a work in progress, constantly being added to and amended as we develop more tools and learn more about using them. Who adds tools? Who amends/adds extra info to tools? How do I add a tool? You may want to upload documents for some tools to, eg, give examples or re-usable templates. Squarespace makes this really bloody hard to do. The best solution I've found is to upload documents to AWS Simple Storage Service (S3). Go to the S3 console, logging in with the AWS account details in CommonKey. 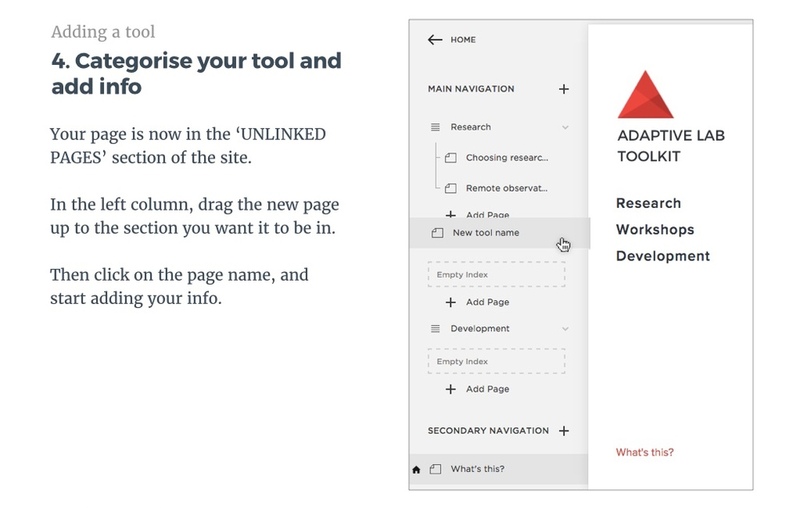 Open the alab-toolkit-docs bucket, upload your doc and then right click on the document to make it public. Last bit's very important.